When you think of cannabis dispensaries in the Metro-Detroit area, the thought often turns to bulletproof glass, big bouncers at the door and a lack of the ability to feel comfortable on your way in and out of the facility. Jerry Millen, owner of the Greenhouse Marijuana Dispensary in Walled Lake, has made it his goal to change that and break the stigma surrounding what is expected from marijuana dispensaries. Millen has talked about his hopes of creating an environment at his dispensary similar to your good old mom-and-pop corner store. Millen is a family man, and considers his greatest accomplishment in life to be his role as a father. Millen has three kids, twin girls and son, and enjoys spending as much time with them and his wife as possible. Outside of his family and personal life, Millen is an internationally acclaimed TV producer and former on-air talent who now wants to make his mark on the marijuana industry. One of the great benefits of the Greenhouse location, Millen said, is its close proximity to the most recognized and respected medical marijuana certification clinic in the metro-Detroit area. The Over the Moon certification clinic has been helping medical marijuana patients get their patient certifications for several years, and they continue to serve dozens and dozens of new patients every week. This clinic specializes in helping patients recognize what type of marijuana is best suited for their needs. 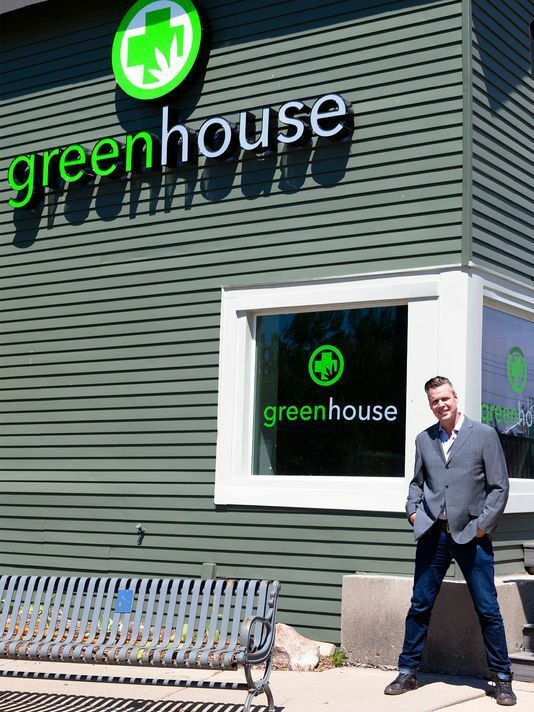 The Greenhouse Marijuana Dispensary is set to open this fall with a series of seminars educating current marijuana users and prospective patients on the benefits of marijuana and how to best use the product. At each seminar, Millen will be bringing in doctors and patients to speak of the benefits of cannabis. The approach that Millen is taking here to prepare potential patients for marijuana use is incredibly unique and demonstrates his passion for teaching. By providing free courses for those interested in learning more about marijuana use, Millen is separating himself from the rest of the dispensaries in the Metro-Detroit area in a positive way, again demonstrating his strong stance on providing help and relief rather than personal financial gain. A huge point Millen will be making throughout the launch of the Greenhouse is the important use of medical marijuana for children suffering from debilitating diseases. Marijuana is becoming more and more of a better alternative to opioid drug use and Millen wants people to understand how to continue to use marijuana safely with their children. At each seminar, there will also be a question and answer segment so attendees can ask personally catered questions about marijuana. Millen is now also looking for suggestions on relevant topics and ideas to be tossed around at each seminar. Send all questions and suggestions to Jerry Millen at medicalgreenhouse@icloud.com. Please visit www.greenhouseofwalledlake.com for more information.